So the winter is winding down and with spring around the corner Fucked Up have decided to close it all out with a Volume 5 in their Long Winter series. 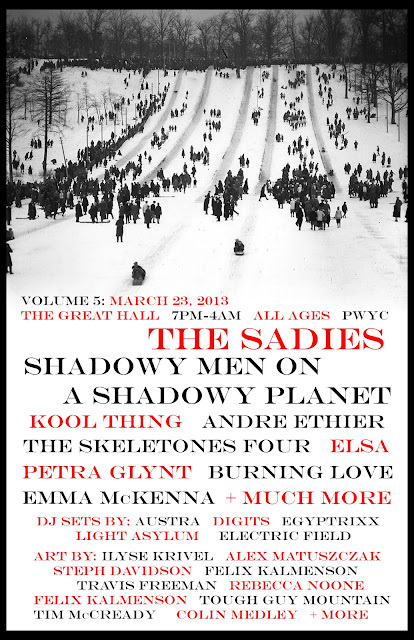 Bands confirmed to play on the 23rd of March at The Great Hall in Toronto are: The Sadies / Shadowy Men on a Shadowy Planet / The Skeletones Four / Burning Love / Petra Glynt / Emma McKenna / Andre Ethier / Kool Thing / Elsa / + special guests TBA. As with the previous 4 LW happenings it's All Ages & PWYC (Pay What You Can) so end the winter off right and be there.